10% Off - Newegg Promo Codes April 2019 - Free Shipping Coupons! Newegg has a flash sale page with dozens of new deals each day. No promo code required. Click to view all the promotions being offered. Save on computer cases right now when you use this discount code. 11% off a new ATX 500W Power Supply! Take 11% off a brand-new ATX power supply when you redeem this promo code at checkout. Save a full $120 off this state-of-the-art router now for a limited time. Save $25 off a 24-inch LG Monitor! Get a 24-inch LG monitor on sale for $25 off the regular price when you use this coupon code. Save 66% off the Sengled Solo Color Plus Bluetooth Smart Light Bulb Speaker now for a limited time. Take a full $110 off the regular price of a Zotach gaming Geforce RTX. Total cost is $1500 after a mail-in rebate for the whole computer system! Save $20 off Windows 10 Home at Newegg.com. Buy the Lenovo Legion Y530 for $350 OFF! Need more space? 52% Seagate BarraCuda 1TB drives. You can get a Seagate hard drive for $48 only when you use this coupon.! Kingston 32GB DataTraveler 50 USB 3.0 Flash Drive for only $7!!! Make your home smarter with our Smart Home Tech Sale! No codes needed for Newegg's sales on Smart Home Tech. Click to view all the current offers. Get your own game of throne in this sale! Get a high quality gaming chair right now with this sale. No discount code is required for this offer. Newegg is a leading tech-focused e-retailing company based in North America offering its consumers the latest electronics, entertainment, smart home, and gaming products. Its foundation was laid in 2001 by Fred Chang, and has been profitable since then. The name Newegg was chosen as a symbol of birth and unlimited potential as that was a period when e-commerce businesses were struggling to survive. Today, it stands with a global presence of more than 50 countries in Latin America, the Middle East, Europe, and the Asia Pacific. The company is headquartered in the City of Industry – California, with distribution facilities throughout the United States as well as Canada. The company has a variety of products to choose from, and also provides you with many facilities like delivery options where you can choose how soon you want your orders to arrive. In 2014, Newegg Premier was introduced. This package allows people to get access to exclusive products and benefits on a yearly fee of $49.99. It also offers a B2B marketplace for bulk purchases. NeweggBusiness offers a discount on higher volume purchase and same day delivery on 99% of orders. Over time, it has become a very well-known online retailer. Like other e-commerce sites, Newegg also provides coupon codes to its customers. If you have a coupon code but are not sure how to proceed, you need not fret as the procedure is brief and simple. ● Only a single promo code can be used on an item. ● Any promo code can only be used once per item. ● Subscription for at least 24 hours is essential to avail a newsletter promo code. ● Promo codes cannot be applied to free gifts and cannot even be combined with combo discounts. The checklist above is especially crucial as it helps you determine whether you are eligible to avail the coupon offers or not. In order to redeem a promo code, you just need to log in and go to your shopping cart, where you need to scroll down to where it says apply promo codes. Now enter your email address and wait for the page to reload and then enter the promo code you have. In case you have any queries and wish to contact the company, it is important to remember that you can post your queries or concerns any time of day or night, but that will depend on the means of communication you select. 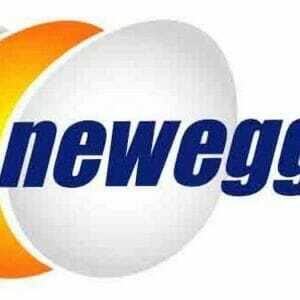 Links to all of their social media handles can be found at the very bottom of their official website, www.newegg.com. You can keep an eye on unique and attractive discounts that are often found on Pinterest, https://www.pinterest.com/newegg/. The company is available on FaceBook at – https://www.facebook.com/Newegg. You can also follow them on Instagram: https://www.instagram.com/newegg/. Along with these social media platforms, Newegg provides you with three more options i.e., Chat, Text and Call on the link, < a href=”https://help.newegg.com/ContactUs”>https://help.newegg.com/ContactUs. There, you can click hat With Us’ button or text them on 639344 to get assistance. Even better, if you want to engage with them directly, then you can call them on (800) 390-1119. Newegg has a 30-days return policy. If you receive a damaged or defective product, you can contact the customer service provider to file a return. Newegg does not charge any fee for returning a defective product. If you received the wrong product or got an item that doesn’t seem to not match the item that was shown to you on their site, you can return the item within its return policy period. In these cases, you’ll be getting 100% of your money back. Non-defective items which you return unopened and beyond the return-policy period then you get 85 % of the total amount paid. Last but not least, if you return for replacement within the return-policy period, the shipping labels are free.